Most of us are more resilient than we think. Following extreme experiences (such as natural disaster, trauma) no-one is unaffected. But only about 30% of us develop problems, or experience long-term harmful effects. Your resilience varies depending on the type of stress you’re under, and at different times in your life. 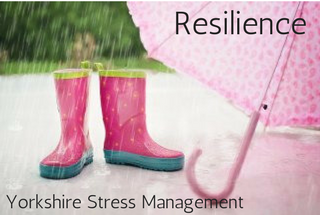 What factors affect your resilience? Temperament - some of us just seem to have an inbuilt ability to tolerate more stress than others, in children temperament has been linked with both genetics and environment, even the environment of the womb. Need help with doing this?